Gold Garden situated on the 2nd floor. It opens for business at 11:00am – 14:00pm for lunch, 17:00pm – 21:00pm for dinner, there have 25 private rooms, and 24 seats in dining hall. 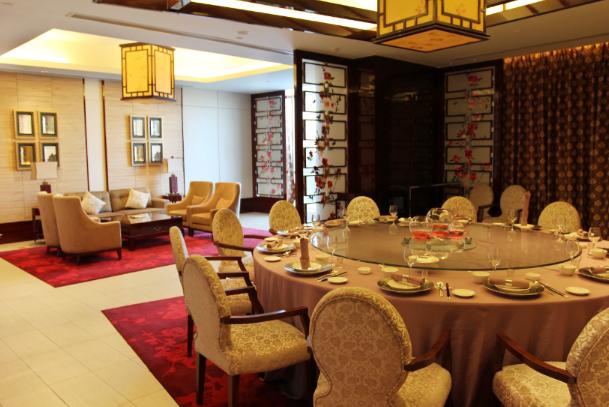 The specialty of Gold Garden is Shandong cuisine & local dishes. Gold Garden Chinese restaurant is the traditional fine dining Chinese restaurant. 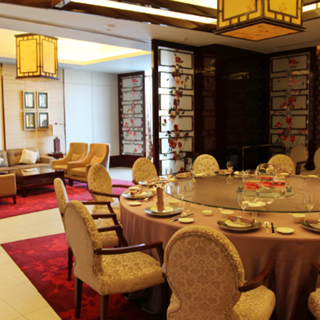 It offers a wide range of Chinese spirit and fine wines as well as a specialty range of local and imported teas. Golden garden’s a al carte menu will offer a modern interpretation of Cantonese style cuisine and inspired local cuisine. The menu will be unique, authentic and perfectly correspond with the concept of a Chinese restaurant. A la carte menu will live seafood, Shan dong style wok, local signature specialties and desserts based on Shandong style cuisine and local cuisine.